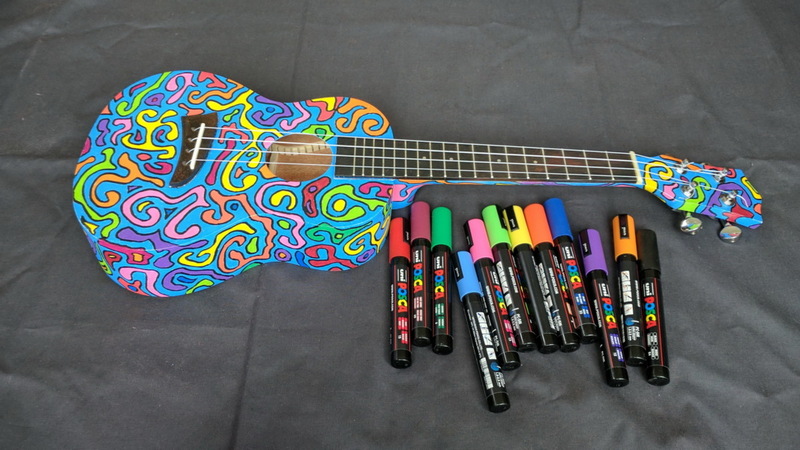 This is the second ukulele I have decorated. For the first one I used Sharpie pens which weren’t great as they were reluctant to leave enough ink. This time I used Posca pens which are brilliant — strong, opaque colours. I’m pleased with this one and would like to do another. 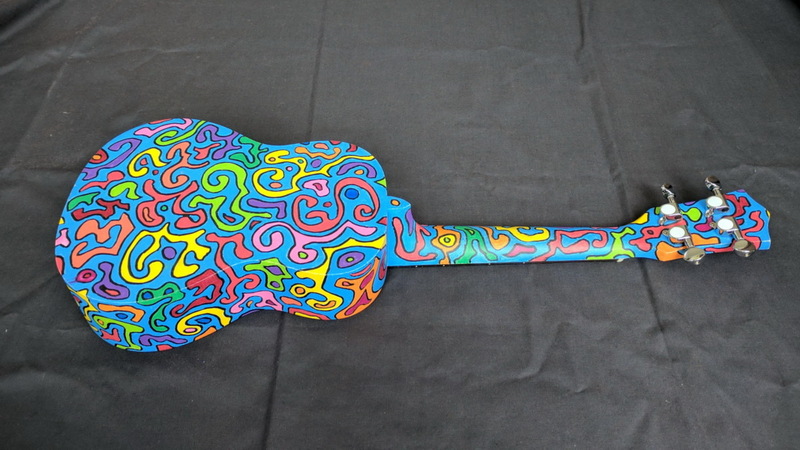 Under all that paint is an inexpensive concert ukulele from eBay. This one is for sale, UK £105 including delivery to a UK address. Please contact me if you’re interested.